We are able to provide services to all types of storefronts, strip malls, and office buildings up to four stories tall with any of our high world class prices. Our Prices are based on the number of pieces of commercial glass that you want cleaned and the height of each one on your office or building. Details for our packaged services are listed below for you to have an idea of what we offer and you can better decide what features will work well with your building or store front. The type of glass (double hung, real French panes, commercial grade glass, etc..) controls the price per job. The property landscaping and height of the windows is also considered for the difficulty of getting to them. 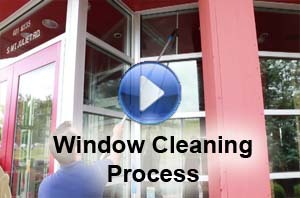 For more information look through the package options on our window cleaning quotes page or call: (615) 823-7425 so we can accurately price out the work. Details like (some of the windows are 3rd floor, and others are 4th floor etc...) or (All of our office windows open and tilt in, and there are no screens to clean.) are very helpful in pricing your building, store front, or office. We feel that it is our job to know what type and how many windows you have. Because of that we do not offer over the phone estimates or "guest-imates". 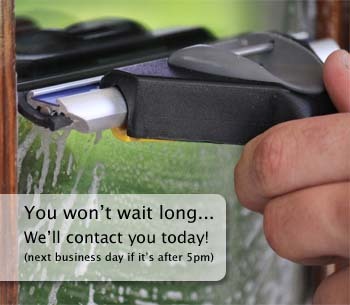 They lead to high window cleaning services prices, or bait and switch and change order up-charge sales tactics. We don't do any of that. We are glad to come out sometime and take a walk around your office or storefront and leave you a free estimate with our prices on it. We'd like to meet you and discuss packages and pricing with you, but we know you're busy too, so if it is more convenient we can always just e-mail it to you or leave it with the front desk. When scheduling your services please be sure to leave ample time for larger jobs (three floors and above) this will allow for us to block of enough days in our schedule all at one time to ensure the the work goes smoothly and can be done all at the same time with out interruption. How do we arrive at our prices? We count each window for your building or office and figure out what services will work best for you and your budget. We then present the services, prices, and glass count to (you) our customer either in person or through e-mail if you are busy at the time. Once you have decided on the window services that will make your office look it's brightest, let us know and we will further discuss our prices for that particular work or package. If you have a bunch of French style panes with storms on the outside (the exterior) of the French panes, then your prices will be much higher than the traditional 5 foot tall clear sheets of commercial grade UV protected glass. The higher prices for French panes and storms is reflected in the amount of labor required to make those types of glass look their best compared to the general ease of our usual commercial glass services. 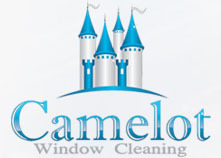 We are happy to wash any type of panes that your office or store front have! Let us know if you want us to build you a custom estimate, and not count every pane. We are happy to do that for your company. No job is too small, or too large. 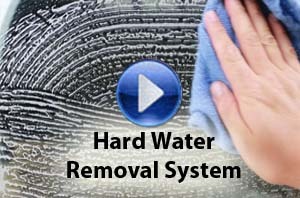 Please call for more info, and your free estimate.